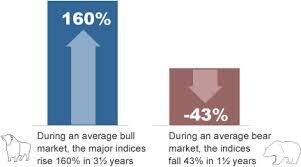 Why History Repeats Itself in Stock Market? Technical analysis is based on patterns and trend analysis and it derives its origin from the fact that stocks have memory, very similar to human beings. Stocks also have milestones as we human beings do. If you were to go back in your life, you would NOT remember EVERY day of your life. You would only remember some of the very important and Key events because they have some significance in your life. Similarly Stocks also have memory and they remember what happened when it traded at X price. These prices becomes support and resistances and on crossing these levels we see massive movement in these stocks. as a net result we see establishment of a pattern and eventually Strong and Weak Support/Resistance points. Thus it makes sense to follow these patterns as these are likely to be repeated again in the life cycle of the movement of stock. Following this aspect in your trading and investment style; you will benefit a lot as a day trader or as an investor.